She and Dwain, her husband of 40 years, have six grown children and seven grandchildren. They consider their greatest success in life that their children like themselves and each other. The honorary title of “Auntie” is given in many cultures to the wise women who guide and mentor others in life. The symbol of the artichoke has great meaning in her teaching and writing. As she works with families, she sees frequently only the outer edges are exposed and can be prickly, hard to open and sometimes bitter to the taste. They are closed to new ideas or methods. Many families prefer the known over the unknown, even when the old patterns and skills are not serving them well. But, as you expose the artichoke and people to warmth, caring, and time, gradually the leaves begin to open and expose the real treasure—the heart. You will enjoy Judy’s approachable manner, wonderful storytelling and common-sense solutions gleaned from working with hundreds of families and organizations just like yours. Your encounter with Judy will leave you feeling inspired, entertained and especially motivated. 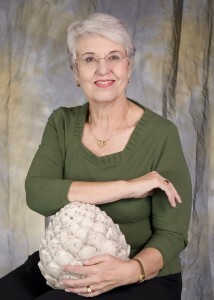 Visit Judy’s website http://www.ArtichokePress.com for excellent references and a full listing of books, workshop topics, tele-classes and testimonials.